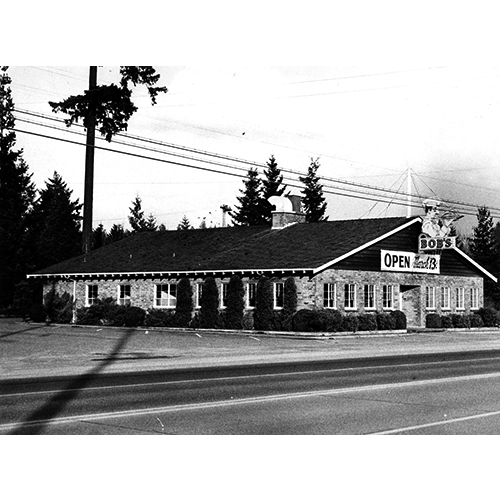 A new building in 1945 is ready for customers of the popular Bothell Way roadhouse called Bob's Place. Originally opened in the 1920s by Swiss chef Bob Steiger in a smaller building, Bob's Place was sold to Charlie and Hazel Gaugle in 1936. The Charles Sarvis family operated the restaurant after Gaugle's death, razing the smaller structure and building this 1945 version. The building is now occupied by Mia Roma Restaurant.